Actoplus Met by Takeda Pharmaceuticals America, Inc. is a white oval tablet film coated about 14 mm in size, imprinted with 4833m;15;500. 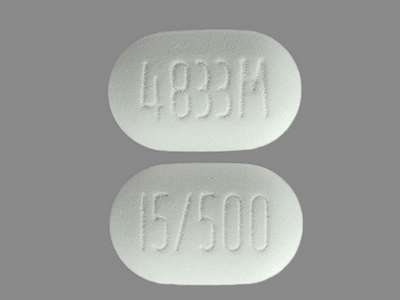 The product is a human prescription drug with active ingredient(s) pioglitazone and metformin hydrochloride. Imprint: 4833M;15;500 What is the Imprint?